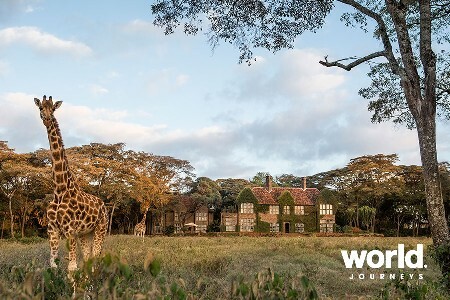 Kenya is the original “Out of Africa” storybook safari destination. 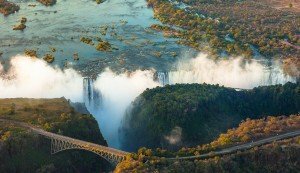 Premier safaris, stunning landscape, long white sandy coastline and well-kept culture are just some of the highlights of the country. 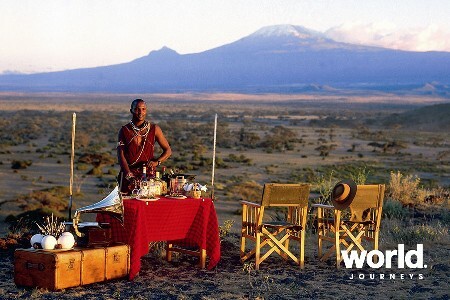 If you’re planning a visit to Kenya, it is well worth visiting the Maasai Mara and Lake Nakuru, but also look at combining with other options such as Amboseli (with incredible views of Mt Kilimanjaro), Samburu National Park, Meru Game Reserve. 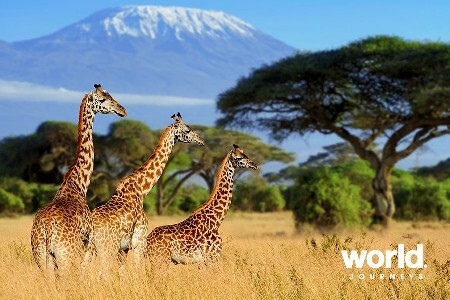 A ‘circuit’ in Kenya of 3 to 4 safari destinations combined with Tanzania will give you a wonderful and diverse itinerary in East Africa, particularly with a beach stay in the mix known as the “ocean safari”. 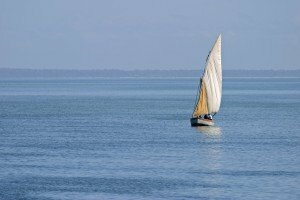 Kenya’s coast is its bounty; well known for having some of the best dive sites in the world. 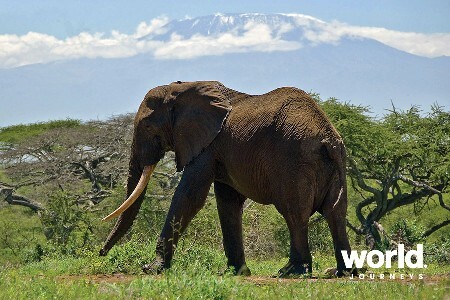 July through September is the prime time to visit Kenya and its neighbouring Tanzania. 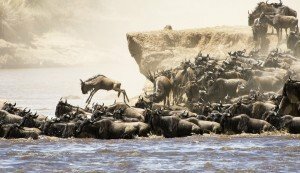 This is the dry season and the height of the great migrations which see the thousand heads of wildebeest and aother wildlife moving between the Mara in Kenya to the Serengeti in Tanzania. The season is dry, meaning more comfortable travel if travelling by road and wildlife will be easier to encounter as the flora is not as lush, allowing better viewing. January and February is the peak season in terms of tourism, however the prices are highest, the national parks are crowded and the temperatures at their hottest. The Great Migration is a nine-month cycle of movement where wildebeest accompanied by zebras, gazelles and impalas are on the move, crossing rivers with hungry crocodiles lurking in the waters, all in search of fresh grazing.Between late June and October the river crossings take place (sometimes backwards and forward over the same rivers!) but it is also good to know that there is wonderful wildlife viewing year-round. Here we take you through a month by month guide of this wonderful circle of life. In January, February and March the Wildebeest are calving on the southern grasslands of the Serengeti, which means great visibility of animals in one place. 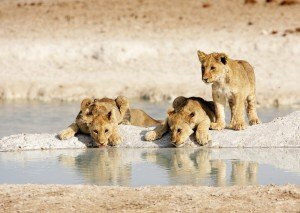 This takes place in various Tanzanian safari hot-spots such as the Ngorongoro Crater and the Serengeti and is of great interest to the thousands of predators who are looking for their next meal. Don’t forget your camera! The rainy season is in April and May. Rains in the bush tend to be afternoon storms rather than continuous showers. Game viewing and photography is generally excellent. When the rains end in May, the land dries fast and the grazing animals move on, heading for their dry season refuge. In June the wildlife move north through the Serengeti “Western Corridor” into the Lobo area. To get to the grassy plains of Kenya the animals must pass through the crocodile infested waters of several rivers, notably the Grumeti in Tanzania. 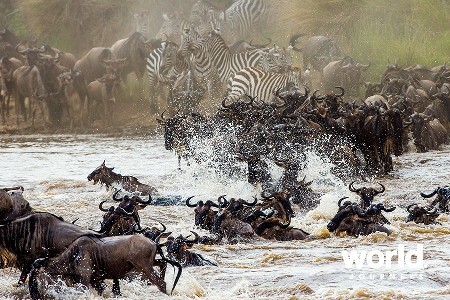 In July and August herds are crossing over the Sand and Mara Rivers and into Kenya. A good portion of wildlife still remains in the Serengeti year round, and crossing back and forth is not uncommon. In the dry season, September and October, big herds are up in the Mara, minus up to a quarter of a million who didn’t make it along the way. It is green and pleasant in Maasai Mara and the wildebeest will be happily grazing. 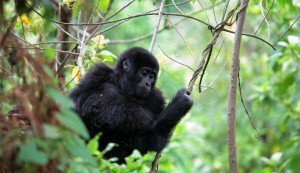 There is resident game in the Serengeti eco-system making for fantastic game viewing. 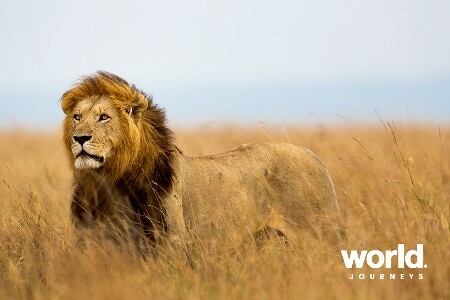 During November and December much of the grass of the Maasai Mara has been devoured. The animal’s instinct tells them to move southwards to the Serengeti, where the rains are once again beginning, so they return south through the Seronera to the Serengeti, completing the cycle. Life and death is played out beneath the great East African skies and to witness this is a spectacle you would never forget. Since I had not been to Kenya for many years, it was definitely time for a re-visit and refresh my memory of this wonderful safari destination. 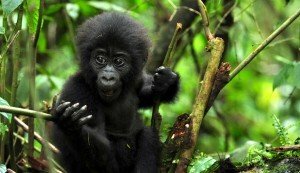 My first safari was at Elsa’s Kopje in the Meru Game Reserve. Who wouldn’t love this – a 5 star experience without being over the top. 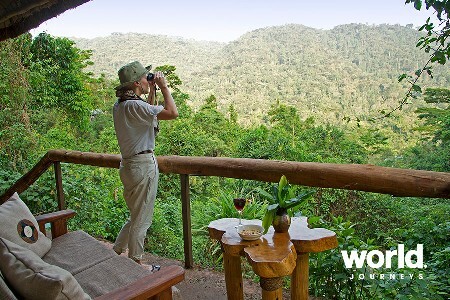 As this is the only lodge in Meru National Park you feel like the reserve is all yours. There is also a Rhino Sanctuary here where you can get up close to both the white and black rhino. This is very rare, where you are able to view rhino in their natural habitat as they are protected. Saruni in the Samburu Game Reserve was next on my list. This is my new favourite place in the world. Set on a granite hill with sweeping views of the 500km2 reserve, each cottage is private and huge and with a stunning outlook. You can see for miles, the scenery is spectacular, and as the owner is Italian-Kenyan, the place is pure style. 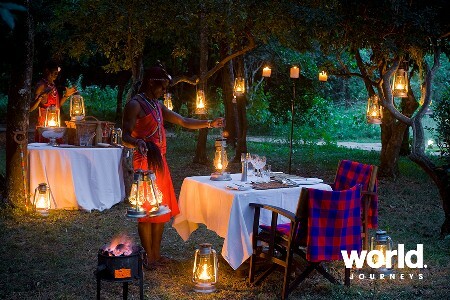 A surprise bush dinner was spectacular – imagine crisp white tablecloths, candelabras, a divine meal cooked over an open fire, and a school choir to entertain during cocktails. Game drives are twice daily in the Samburu National Park so you can follow the game where it happens to be. The highlight for me was a visit to the local school – I have done this before but this was unrehearsed and a bit more special as our guide, Chris’ son attended kindergarten and it was a pleasure to meet him. The Headmaster was very proud to show us his 8 room school whilst I was horrified to hear that most girls drop out by 8 as they are usually married off by that age to reduce dependence on the family to feed them! I took an English class with Octavia in the Year 1 room which descended into total chaos and then even played soccer with the round bag they called a ball. The Samburu people are so proud of their history and traditions – this was a very special day for me. I will always remember this place, not just for the stunning lodge and location but for the local Samburu people who work in the lodge – always smiling – quite comfortable being in their local dress. 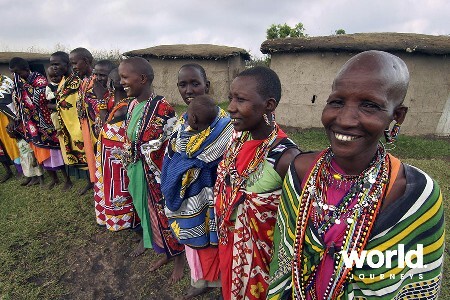 I will return and build the dormitory they need for their school so that the girls can receive a proper education! 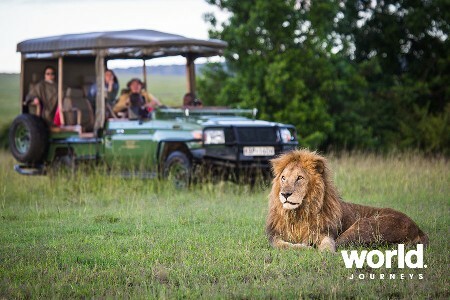 Why we love it Kenya is THE original safari destination – the stuff of “Out of Africa” which has inspired many to travel on a safari (co-incidentally safari being a Swahili word meaning journey). Endless plains, huge herds of wildlife with many predators, colourful cultures, famous national parks and home of balloon safaris. 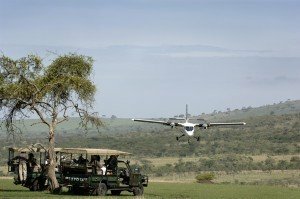 A typical safari in Kenya will be between 7-12 days and may include the Masai Mara, Great Rift Valley, Lakes Nakuru & Naivasha, Mt Kenya, Samburu and/or Amboseli National Parks. Weather Kenya is blessed with a fairly temperate climate year-round. January and February are the summer months, with March to May and to a lesser degree October through December the rainy seasons. Although there is usually only one shower every afternoon. June to September is one of the best times to travel being the “shoulder” seasons when it is very temperate weather. 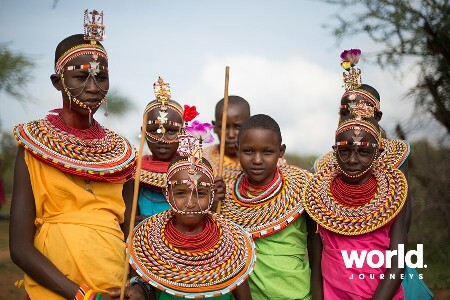 Social customs & quirks There are over 40 different ethnic groups in Kenya ranging from Bantu to Masai to Samburu, each with typical values and customs of their own. 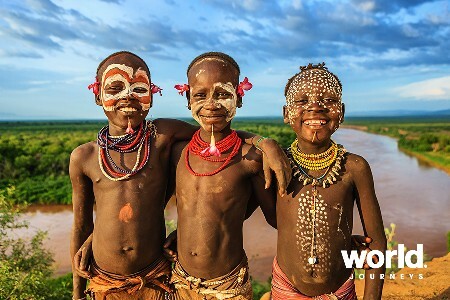 The similarity of many of the tribes is that they are nomadic peoples relying on a subsistence lifestyle who still mostly reject the urban way of life. Although some 70% of the country is rural, there is of course also urbanism and settler history passed down as the country was first settled by Portuguese and then colonised by Britain in the 1800’s. 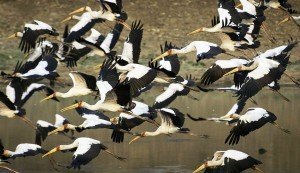 Festivals & events One the world’s most famous natural “festivals” is the spectacular wildebeest migration between Kenya and Tanzania. This annual circuit sees over 1.5 million wildebeest migrating between the Serengeti plains to the Masai Mara in search of food and water. 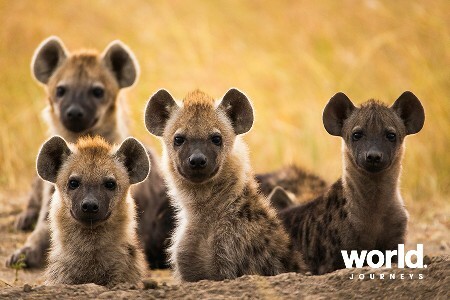 Between July and October are when the animals usually reside in the Masai Mara before heading south again into Tanzania. Health* A yellow fever vaccination certificate is required on entry by any person over 1 year of age arriving from an infected country. Malaria precautions are recommended for travelling in Kenya throughout the year. Africa was AMAZING!!!!! Loved every minuted of it! All your careful planning went like clockwork (THANK YOU) I have the best photos you can imagine (probably just like yours!). We saw the BIG 5 and the migration.....so lucky! The pick up at airports...transfers etc was top notch! Accommodation FABULOUS! Can't fault it. Ange.... thanks for all your expert help. We had the most amazing trip !!! Kenya stole my heart, or rather the Kenyan people did. The Malewa Lodge we stayed at was just magic, wonderful accommodation , best food we had in Kenya, and we could walk among the wild life... as there were no lions. Got a bit of a scare from water buffaloes though. Very keen to go back! We had an amazing time in Africa! Very keen to go back and see more now! &Beyond were just amazing - the food, the people, the guides - all just fantastic! The lodges were just beautiful - our fav for the rooms was Bateleur Camp - loved the feel that you were partly in a tent!! Met a Warthog on the path one morning, so we stood eyeballing each other for a few seconds, then we slowly backed back, and he took off into the bushes - but still watched as we went past him!! We saw all the big five on our first day in the Maasi Mara - very unheard of apparently. They kept telling us how lucky we were! We thought it canâ€™t get any better the next day, but it did! We saw three elusive black rhino as well! Kleins is an amazing location, and having their own area to drive around is fantastic. We got very close to a leopard over the 3 days, several times, and also within a few metres of both big males, females and lion cubs. Just memories to treasure forever! The Crater accom is pretty unique - looks like it has been designed by a mad architect, and could actually star in a Hobbit Movie!! It was very nice in its own way. We all felt that after being so close to all the other animals in the other camps, this was disappointing for animal viewing (we had been very spoilt), but had we done the trip in reverse, we would have loved it I am sure. In saying that the fact that you are down inside a huge crater is very cool though. Thank you Ange and World Journeys! Our recent trip of four weeks to Africa was outstanding and made more so, with the arrangements that were in place and so perfectly executed. We were met at every airport (and there were many) by a smiling guide/driver and transferred to our next accommodation. All our four safaris were outstanding with very good rooms and outstanding guides who were knowledgeable, compassionate about animals and very environmentally aware. The recommendations and planning for our tour were all excellent. A truly memorable stay. We cannot speak highly enough of the experience we had at the hands of World Journeys and their agents. All 5 safari park experiences were different, and well exceeded our expectations. The all-inclusive package was really great. Wine at all venues was very free-flowing, and it was good not to be paying for items as we went. 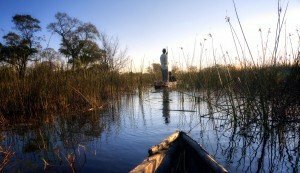 All travel went without a hitch, and at all times we felt very safe in Africa. The itinerary was put together by others and we wouldn't have changed it. So many fantastic memories. We had the most amazing trip and the arrangements made by you were flawless. The Singita Boulders Lodge was fabulous and a great way to begin our African experience. The game viewing was excellent there. Our time on Benguerra Island was lovely despite almost melting in the 40 degree heat. Amelia loved our time at Elephant Camp in Zimbabwe as they have a resident rescue cheetah called Sylvester and we were able to walk with him for an hour. Our time in the Samburu region of Kenya was an absolute highlight due to the rich cultural experience of meeting the local villagers and enjoying the fantastic hospitality of Nicki and Scott at Sasaab Camp. 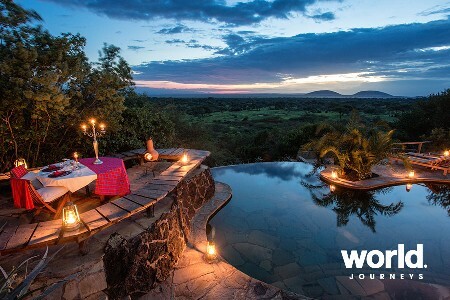 I would highly recommend this place to anyone and would return here for a repeat visit in preference to the Masai Mara. In Tanzania the andBeyond Under Canvas Camp was great. Unfortunately our balloon safari was cancelled on the morning due to high winds and we were told to get you to apply for a refund on our behalf. The Ngorongoro Crater Lodge was stunning with amazing food. The highlight of Tanzania would have to be Sand Rivers in Selous though, which is brilliantly run by Natasha and Evan. What an interesting area and so different to any other part of the trip. In Zanzibar we did enjoy the Stone Town visit but found that the Baraza Resort was just lacking in atmosphere, maybe a little 'sterile'. They also had a very limited range of water sports available and we had to visit a neighbouring resort for these. Our night at Giraffe Manor was truly amazing. It is no wonder that this place is so popular. Amelia was in her element! Finishing off the trip in Mauritius was perfect and Le Touessrok resort was the best beach resort that we have stayed in. Great restaurants and plenty of water activities. I could have stayed there another week! Thank you for organising such a fabulous trip for us. We certainly have some incredible memories. 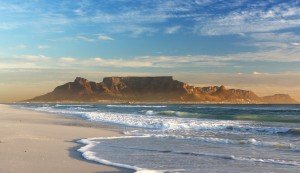 South Africa definitely lives up to its moniker – a “World in one Country”.